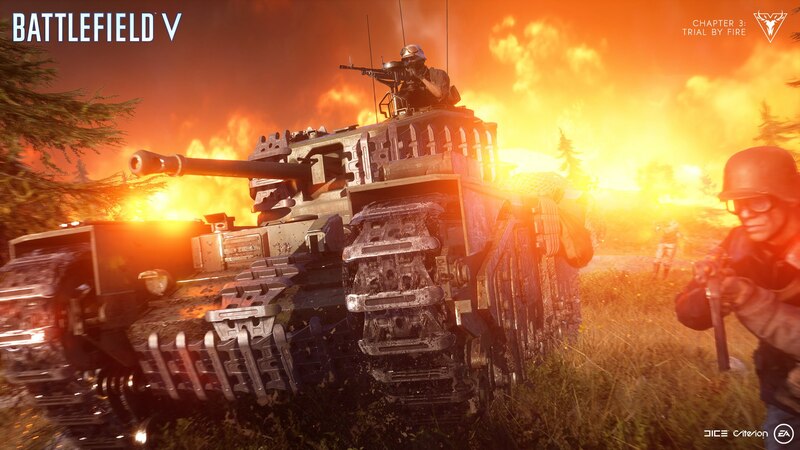 Battlefield 5's Firestorm mode brings some fresh ideas to the Battle Royale landscape, but is it enough to stand out? 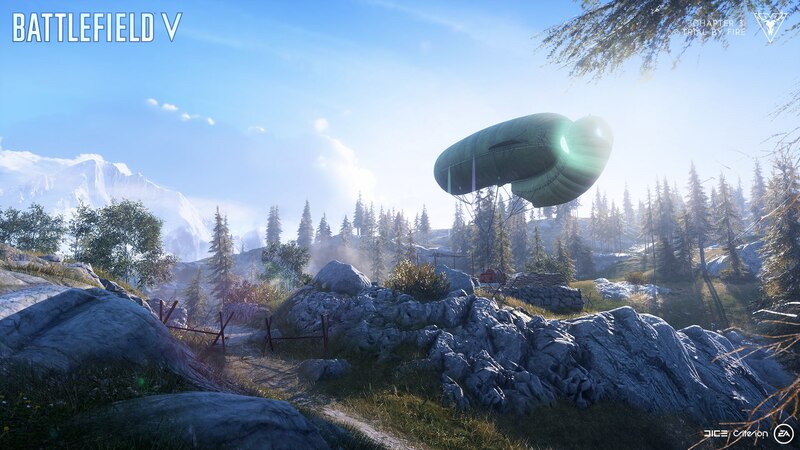 Battlefield faces a near impossible task in introducing Firestorm, its new Battle Royale mode. In a market crowded with the likes of Fortnite and Apex Legends, it needs to stand out. That's no easy feat when there are already signs of Battle Royale fatigue in some quarters. Indeed, at first blush, Battlefield 5's Firestorm seems a little too much like the other Battle Royale competitors on the market. There's solo mode, there's squad mode, there's a one-touch ping button, and, of course, there's the vast map with an ever-decreasing play area. But the further in you delve, the more there is to like and set it apart from the rest of the pack. 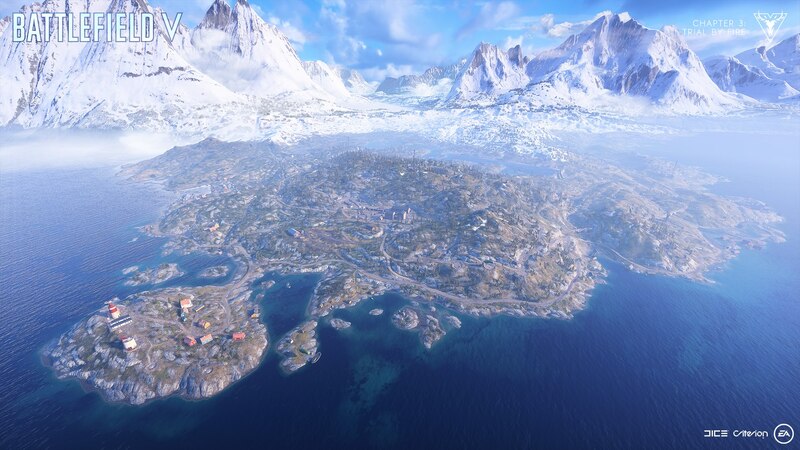 Firestorm comes free with Battlefield 5, meaning you'll need to buy, or already own, a copy to parachute down to Halvoy, the largest map in the series to date. In squad mode, Firestorm plays out like a massive game of team deathmatch, with squads scrambling to work together in order to stay alive in a mode without respawning. It's still got the scrappy and chaotic elements of Battlefield 5's multiplayer, but with an encroaching ring of fire around the map. While you pick from the Assault, Medic, Recon, and Engineer classes in the squad mode, all class traits from the standard multiplayer mode have been purposefully ditched. The Medic no longer has a faster revive ability than the other three classes, for example. In Firestorm, you're basically just picking a cosmetic outfit to show off. "You can still look cool and keep characters that you've still been working a long time on," senior Criterion designer John Stanley tells me. "But everyone's on that level playing field," while "all the stuff is just cosmetic." Once you and your squad hit the ground, Firestorm shows the cards it's been hiding up its sleeve. There's Resupply Points, three objectives that pop up every time the circle enclosing the map shrinks, offering you and your team the promise of high-end loot if you can hold and capture the point. "We want a way that can encourage risk-reward gameplay," Stanley explains. "So objectives was an easy one because it was like 'what feels battlefield' and one thing that feels Battlefield is objectives." Optional objectives are a rarity in the Battle Royale genre. Emphasis on the 'optional' part, because you can easily play Firestorm without going for a Resupply Point. While I was playing Firestorm, the Resupply Points were the carrot on the stick. Do you and your team go to capture the point, risking being ambushed by another team in an attempt at gaining more powerful weapons and armor? It's a surprisingly tempting proposition because there's nothing stopping you from walking over to a Resupply Point and capturing it. And this led to my demise, several times. 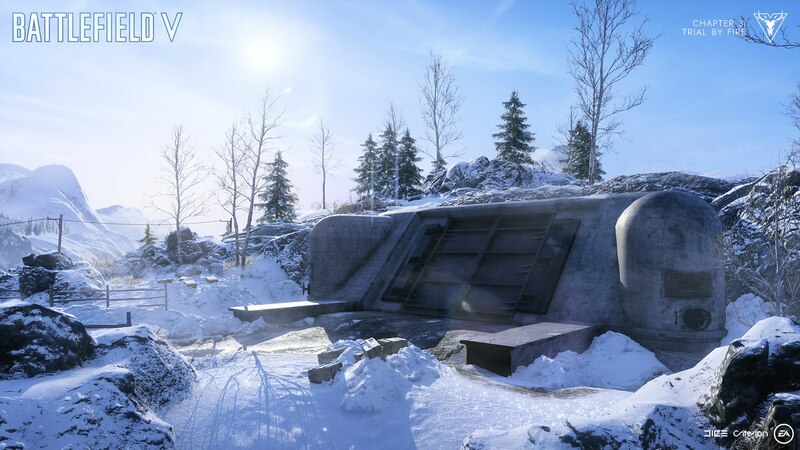 Resupply Points are usually surrounded by buildings, meaning you can get in cover fairly quickly when the bullets start flying, while still actually capturing the objective. Hunkering down under windows and barricades, and popping up to take shots at encroaching enemy teams feels very Battlefield, and very thrilling. This whole defending tactic falls apart when the enemy team has a tank or a rocket launcher to literally blow apart your cover, but it wouldn't be Battlefield without some perfectly planned chaos. Another entirely optional objective comes in the form of vehicle lockups. You might have seen these in the Firestorm trailer from last week, where a team turned two cranks on the outside of a building to open up massive bunker doors, revealing a tank within. What this trailer didn't show you was that blaring alarms are sounded the second anyone starts turning one of the cranks. So while two of your teammates are busy opening up the doors, your other allies have to be scanning your surroundings for players drawn by the sirens. It's another great risk-reward scheme by Criterion, a very tempting offer since you know powerful tanks like the Tiger are waiting for you inside. But when you get your hands on a tank, don't make the mistake of thinking you're invincible. A simple Anti-Tank Mine can take the tracks off your vehicle with a single hit, forcing your entire team to stop and frantically scan the horizon for an ambush, as one poor teammate leaps out and attempts to repair the tank. In a mode where tanks could have been unstoppable, especially with players spread so thin across a vast map, Criterion has done an admirable job of keeping the power of vehicles in check. Resupply Points and vehicle lockups are nice surprises in Firestorm, but I was concerned they wouldn't function in the solo mode. Vehicle lockups are a lot easier to open up if there's four of you, rather than if you're on your own attempting to open up two huge bunker doors with alarms going off all around you. "In solo play when you’re by yourself the doors are actually quicker to open up," explains Stanley. "Obviously you’ve still got to be aware of your surroundings and thinking 'ok, do I want to take this risk?' It kind of balances itself out." Because I am naturally a coward and didn't dare open a vehicle lockup while playing solo during the preview event, I'll be interested to see how this plays out come launch. There's a distinct lack of looting weapon attachments in Battlefield 5's Firestorm. Unlike PUBG or Apex Legends, where you can scavenge attachments like scopes and muzzles for your weapons, Firestorm plays out like Fortnite, with weapons coming in three different rarity types: grey for common, blue for rare, and purple/pink for epic. Each rarity type of the same weapon will have different attachments equipped, and there's no switching out attachments between weapons. So if I was to find a common, base level Sturmgewehr, it wouldn't have any attachments whatsoever. If I then found the epic version of the Sturmgewehr while scouring the map, it would have a scope, muzzle, and grip attached, giving it vastly superior accuracy and firepower than the base version. Explaining the thinking behind the lack of separate attachments, Stanley said that it was "for ease of use, in that players can just pick it up and go 'ah, pink is good.' That’s not to say that we’re not open to exploring attachments and weapon setups in the future. At the start we didn’t really want to overwhelm the player; we’ve got objectives, we’ve got gadgets, we’ve got vehicles. So it was all about picking what we wanted to put into the game." I actually quite like this approach from Criterion. Fiddling through menu systems to equip the right scope attachment to my sniper rifle instead of my shotgun is never my favorite part of any Battle Royale game. If nothing else, it's a new take on looting within the Battle Royale landscape. But looking across the Battle Royale genre at present, Criterion isn't afraid to pull from other games, like Apex Legends. In Respawn's Battle Royale game (which is also published by EA), there's the acclaimed ping system. This lets players without mics (or those who just don't want to talk while playing online) communicate with one another by highlighting available weapons and armor items, as well as pinpointing enemy players. It's a shame then, that Firestorm will be locked behind the paywall of Battlefield 5. I get why, because as Stanley explains to me, "if you’re playing with a specific weapon in Firestorm, that progression that you get from using that weapon in Firestorm is going to tie back into the main game. Likewise any XP you earn from getting to a specific position or earning a certain amount of kills then gets filtered back into the main game." It just feels as though Firestorm could carve its own little niche in the Battle Royale landscape, if only it didn't have the entrance fee of the Battlefield 5 price tag. I enjoyed my time with Battlefield 5's Firestorm, but I'm not entirely sure I'll be coming back to the mode in the weeks after launch. Firestorm retains the scrappy and chaotic nature of gunplay that feels fundamentally Battlefield and very enjoyable, but it doesn't do enough to stand shoulder to shoulder with the likes of Apex Legends and Fortnite. Tagged with Action,	Articles,	Battle Royale,	Co-op,	Criterion Games,	FPS,	PC,	PlayStation 4,	Shooters,	Xbox One.